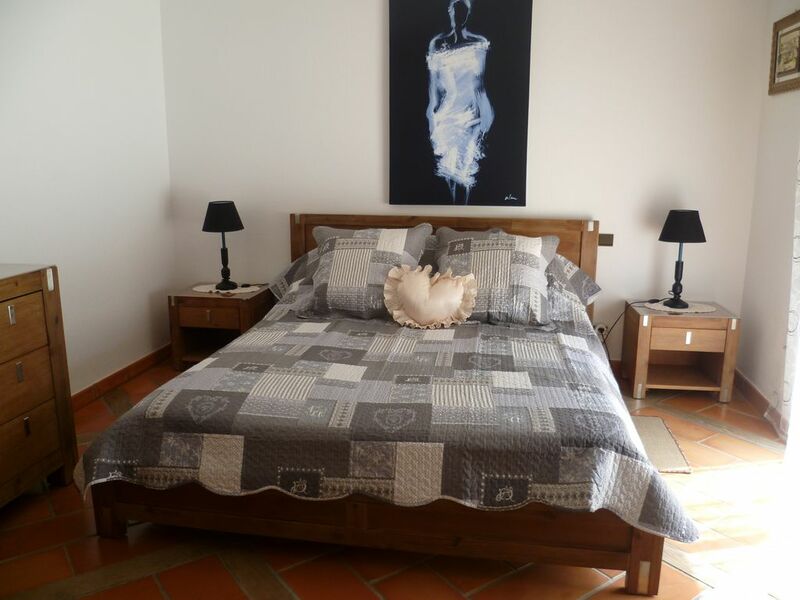 On a closed ground of 2000 m2 in a pine forest, you will discover the charm and character of a calm and relaxing villa. We offer you a fully equipped outdoor kitchen (microwave, grill, griddle, refrigerator, dishes, etc ...) facing the pool or you can enjoy your family meals. Exit La Roche sur Yon, towards Saint Gilles Croix de Vie, after COEX, at the roundabout of the four paths turn right towards Challans, then 1st road on the left, you pass the silo of the CAVAC is on your left; straight on at the next junction, dirt road on your right and heaths street on your left, you have arrived, it is the house on the corner on your left.